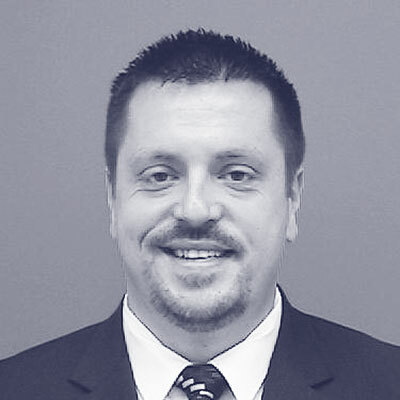 Mr. Tim Richardson is a highly accomplished IT professional with over 18 year’s government, military, and industry experience in both personnel and IT management. Mr. Richardson is currently serving as the National Geospatial Intelligence Agency’s (NGA) Lead Cloud Architect to redefine the agency’s IT strategy with a bold vision to embrace true web-scale information architecture; to achieve independence of mission data from applications; and to establish the foundation for multi-intelligence, big data analytics. Previously for NGA, he served as the contractor chief architect for the Interim Transition Center shutdown, was the lead operations engineer managing the Integrated Analytic Environment Technical Operations Information, Process and Technology exchange, and was selected to architect solutions and bring various teams together in support of the Intelligence Community Information Technology Enterprise architecture. Mr. Richardson also successfully led operations support for one of the NGA’s largest IT organizations to transform IT service management and delivery, aligning strategic mission objectives to deliver flexible, ready access to content service offerings, while driving efficiencies through streamlined processes and implementation of portfolio management. Prior to supporting NGA, Mr. Richardson was the Lead Architect providing architecture designs and tasking a team of engineers in support of the United States Air Force Air Mobility Command’s Executive Airlift Communication Network in support of senior leaders of the government to include the President, Vice President and Secretary of Defense. He designed and developed a complex voice over IP (VoIP) architecture utilized by the Senior Leaders including detailed testing with the White House Communications Agency and Presidential Airlift Group on the voice solution implemented on Air Force One. In the United States Navy, He also led a secure communications team at Naval Support Group Activity Kunia responsible for operations to all IC/DoD JWICS and point-to-point secure communications customer sites worldwide. He led a team responsible for integrating multiple hardware vendor and software platforms deploying virtual datacenters and deployments into commercial cloud environments, reducing deployment timelines by over 300%. Mr Richardson has a Bachelor of Science in Computer Science from TUI University and has numerous professional certifications including Cisco Certified Professional, COMPTIA Security+, and the Amazon Web Services Solution Architect – Associate certification to name a few.